A few of my friends have asked me for ideas on what to do, where to drink coffee, and where to eat in Mexico City. Unfortunately, this is like asking where to eat in New York or Paris. 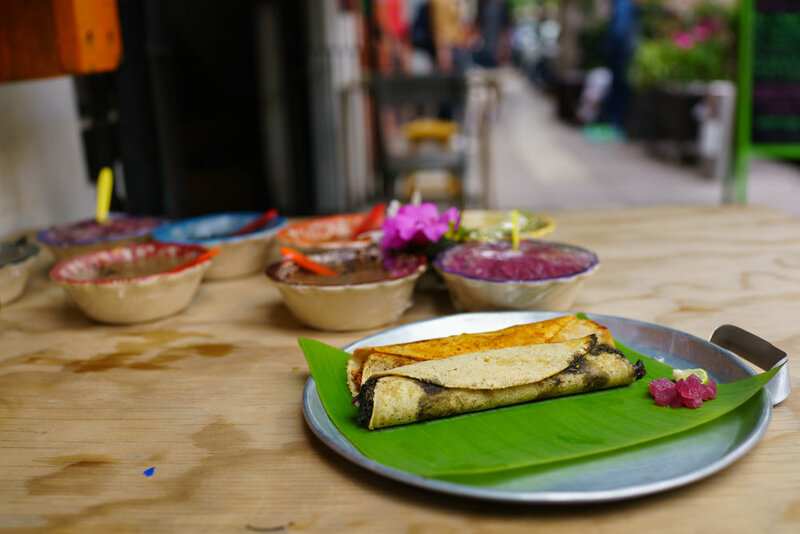 Mexico City is an incredibly huge city with a diverse array of foods from all over the country and indeed from around the world. I thought it might be helpful to put together a short guide aimed at first time visitors to Mexico City going on a short visit. I have been to Mexico City numerous times, but these days I almost always stay in Roma Norte, so a lot of my suggestions are for eating around Roma Norte, Juaréz (which is just north of Roma Norte) and Condesa. 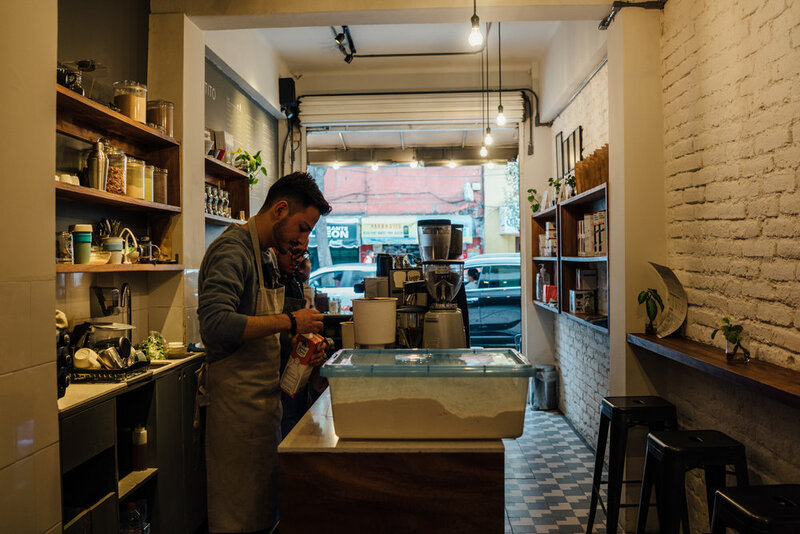 A small, reliable specialty coffee café in Roma Norte's Av. Álvaro Obregón. They have typically served coffee using a rotating selection beans roasted by roasters in the US, but more recently they have started roasting their own beans, using beans from around the world, but also from Mexican origins of course. Cute café on a quiet intersection in Roma Norte serving excellent specialty coffee. I like sitting on the seats outside. Another Mexico City favorite, Almanegra has a couple of locations. I often go to the Roma Norte location on Tonalá, which used to be inside La Teatrería on Tabasco. For the warmer months, Almanegra's cold brew is particularly good. This tiny Roma Norte outpost of Buna Café Rico is on a quiet corner of Orizaba with a few tables outdoor. Café Curado, located west of Av. Insurgentes Sur, which seems to constitute some kind of psychological barrier, is a tiny little café located next to a gym, with a few two-top tables outside and some seats at the bar. They use beans roasted by Mexico's Impetus Coffee. A gibraltar is 36 MXN (around $2) and a pourover is 42 MXN (around $2.25). In addition to coffee they also have light foods and pastries. Located north of Roma Norte, on the other side of Av. Chapultepec, is the neighborhood of Juárez. An all day café and bar, Cicatriz has excellent coffee, but it's the pastries here that stole my heart. I love coming here for an olive oil cake and espresso. Several specialty cafés in Mexico City use beans roasted by Cucurucho. The coffee is roasted at Casa del Fuego in Cuauhtémoc. Cucurucho has standing-only space inside but has seating outside. A cortado is 38 MXN (around $2). Another specialty café located on Álvaro Obregón, I particularly like Dosis for working because they have plenty of seating. The outdoor seating is particularly lovely. Enhorabuena Café, which means "in good time" in Spanish and capitalizes its name weirdly (eNHORAbUENa), is a lovely little café in Condesa, not far from Parque España, that opened little over a year ago. An espresso is 30 MXN (around $1.6). Chiquitito Café has been a Condesa fixture for a while. In addition to Condesa, they now have locations in Chapultepec and Cuahtémomoc. A cortado is 35 MXN (around $2). 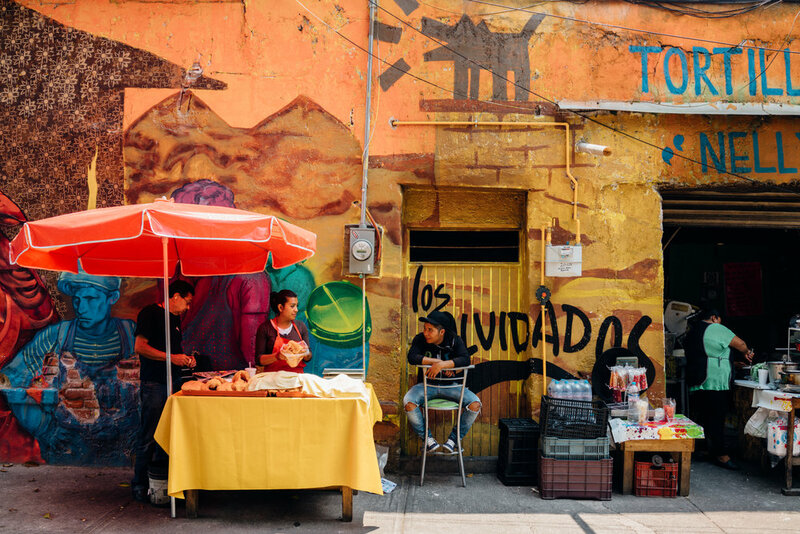 It's not unlikely that you will find yourself in Mexico City's beautiful Coyoacán neighborhood. I certainly recommend a visit to Museo Frida Kahlo (it's best to buy tickets in advance, online). 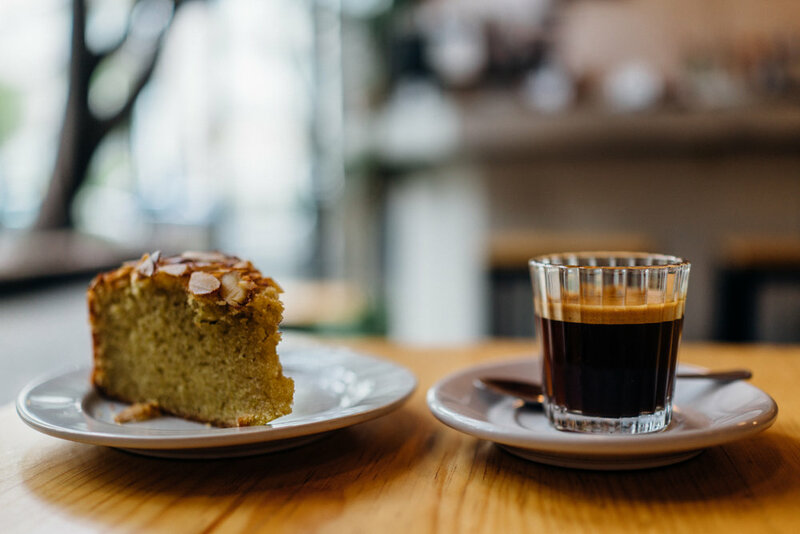 If you find yourself in Coyoacán, you will probably want to get your coffee at Café Avellaneda, one of the first specialty coffee cafés in Mexico City. 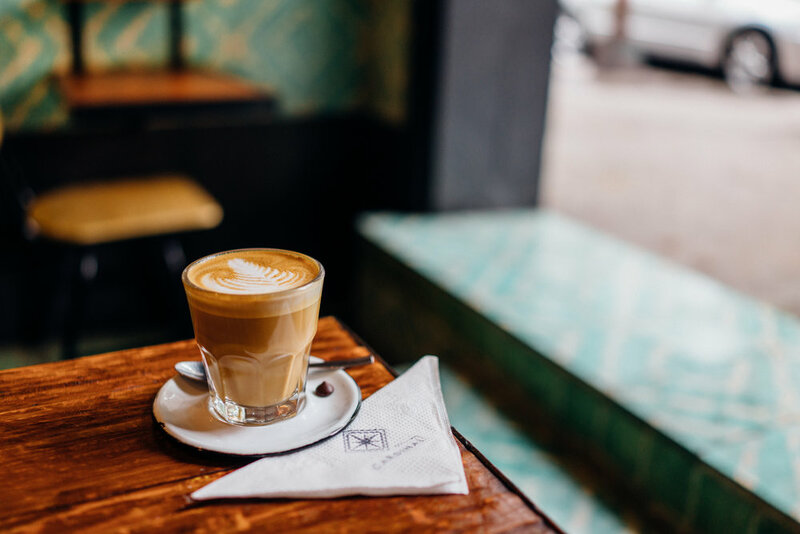 Note that in Mexico City, many cafés use single shots for espresso-based drinks (American cafés default to double), so if you are a Cappuccino drinker, you might want to ask for a Flat White, or for lesser milk but a better espresso:milk ratio, get a cortado. Also, note that milk in CDMX, in my experience, is rather heavily pasteurized, giving milk-based drinks a peculiar taste. Taquitos Frontera is one of my favorite Roma Norte taco joints for a quick, cheap and delicious taquitos dinner. I normally like getting the campechano (a mix of ground beef and chorizo here). Three overflowing taquitos normally does the trick for me. In the cooler months I might get an order of grilled onions (cebollitas). 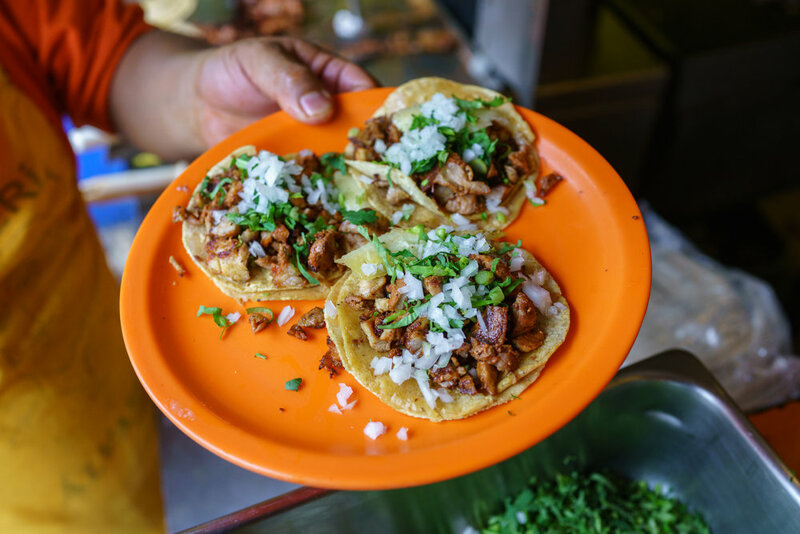 A Roma Norte classic, Tacos Álvaro Obregón is good for any time of the day for their al pastor — not necessarily special, but they are fast, cheap, fresh and reliable. They can get quite busy during the night. In the mornings in Mexico City, on many street corners you will see women selling tamales. They never fill me up, but I like getting them as a pre-breakfast snack – they feel delightful, especially so in the cool November morning. These stands typically also sell atole (a corn-based drink). I alternate between a tamale verde and a mole tamale. When I'm not in the mood for a staggered approach to breakfast, I get myself chilaquiles: crispy tortilla chips topped with salsa verde, finely chopped onions, crema, shredded chicken and a dusting of a cotija-like cheese. This is quite filling! My friend Iñaki introduced me to these on one of my visits. These are basically pre-made tacos, relatively greasy and moist, that you'll find being sold in "baskets", hence the name. A tiny Yucatán restaurant in Roma Norte, El Habanerito is pretty legit: I like getting the cochinita pibil (slow-cooked pork, originating from Yucatán), mopping it up with one of the many different salsas on each table (some of them are really really hot!) Ask for panucho de cochinita pibil (which is open-faced). After around 1:30pm you'll find couple of women set up at the corner of Colima and Merida, diagonally across from the Oxxo. I love getting the quelites y requeson quesadilla (quelites is a green herb and requeson is a ricotta-like cheese). 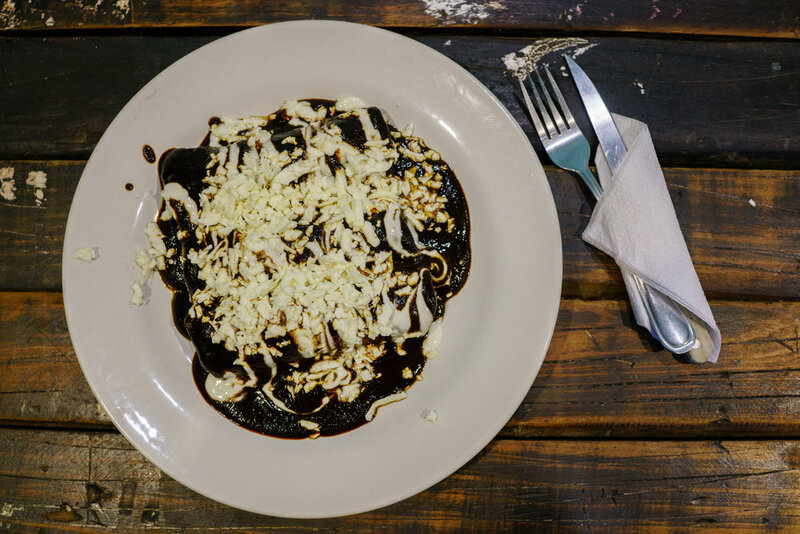 You could also get the same as a tlacoyo, which will come topped with those and the masa is stuffed with frijoles (beans). Quelites y requeson has been one of my favorite things to eat in Mexico City now. 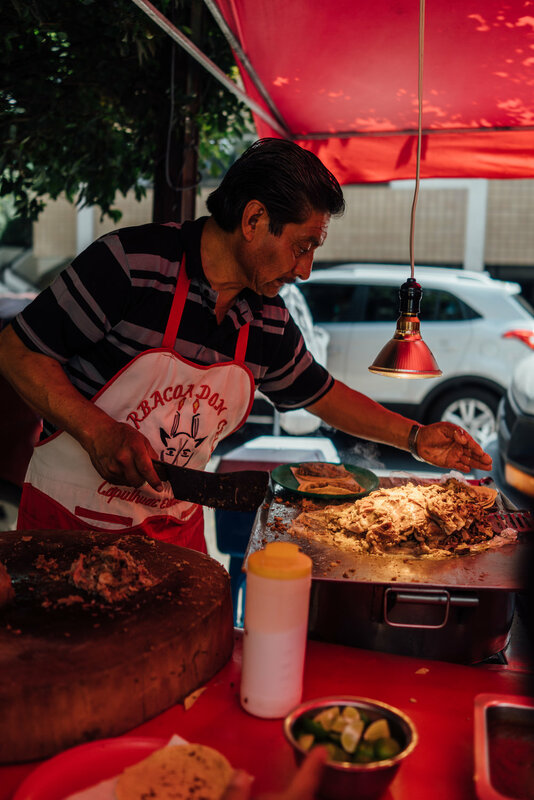 Every weekend, on Mérida, at the corner of Álvaro Obregón, manifests Barbacoa Don Celso that serves incredible barbacoa tacos. I found this fonda only because I was looking for Hanky Panky, a speakeasy that you can enter through this fonda, roughly on Londres and Génova in Juárez. I came to absolutely love the chicken mole enchiladas here. Thanks to a young lunch companion, I was exposed to tacos milanesa, a hitherto unknown concept to me — a friend steak taco, that's meaty and has a wonderful texture. Eduardo is probably one of the most talented chefs in Mexico City and Máximo Bistrot is likely one of the busiest restaurants in the city. The cuisine is what I might reluctantly call "Modern Mexican" in that all ingredients are locally-sourced, there's a lot of technique in the cooking, bringing out a lot of subtlety and flavors. If you're going for dinner, be sure to make a reservation in advance. Lunch is a little easier. Also run by Eduardo and Gabriella, Lalo! is their casual outpost that serves coffee and light fare including breakfast and excellent pastries. 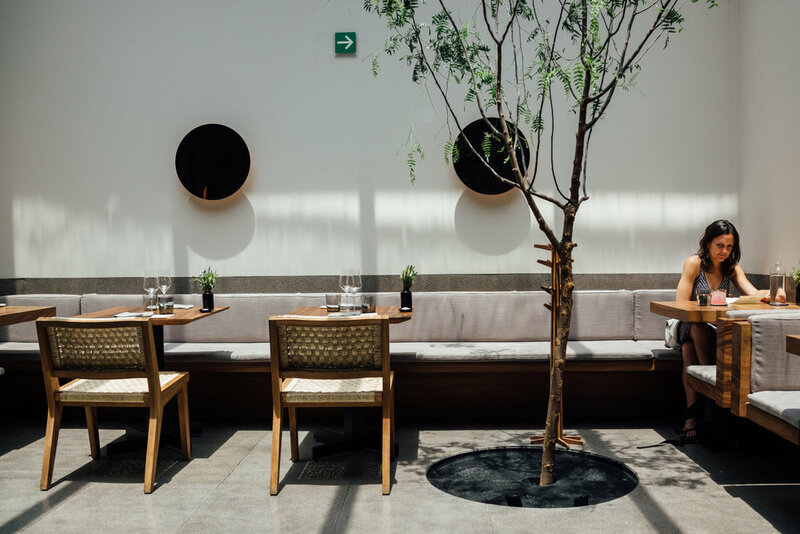 In Mexico City I eat almost all my food on the streets, but I always make an exception for Pujol, which, I think, has some of the more interesting takes on refined Mexican cuisine using high-quality indigenous ingredients. The mole madre mole nuevo always makes my tastiest bites list. Reservations are necessary. Licorería Limantour is consistently ranked amongst the world's best bars. The questionability of these rankings aside, they do have excellent, expertly-made cocktails. A speakeasy located inside a fonda. The cocktails inside are good, and I actually really like the chicken mole enchiladas at the fonda! You have to make "reservations" in advance through Facebook. El Depósito has a couple of locations. I normally go to the Roma Norte location. They have a great craft beer selection, both local and international. It can get quite loud here, so I normally find myself getting a beer for takeaway. La Nacional is a relatively quiet place that has a wide range of mezcals. The waitstaff is quite knowledgable and helpful in making your selection. Casa Virginia is really a restaurant than a bar, but I like going here sometimes if I want an aperitif or a quiet cocktail (they do an excellent job). 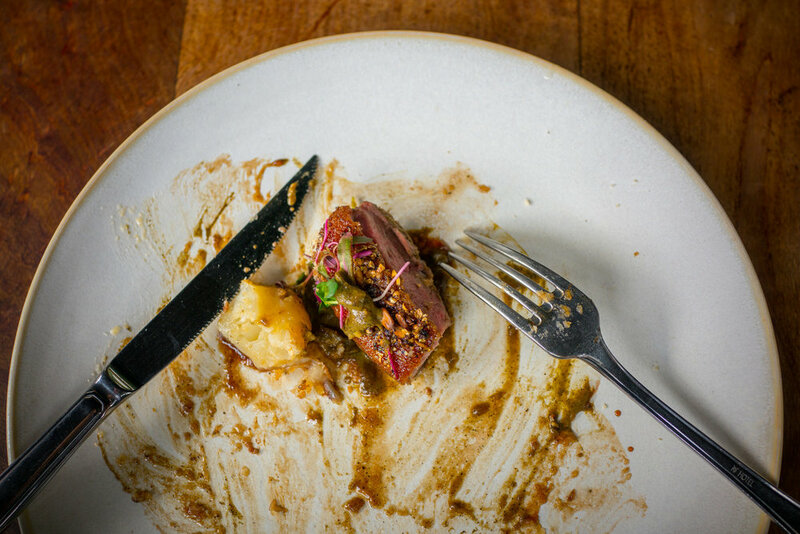 The restaurant is fantastic too, serving rustic food using good-quality ingredients. Mexico City has a lot of dogs!